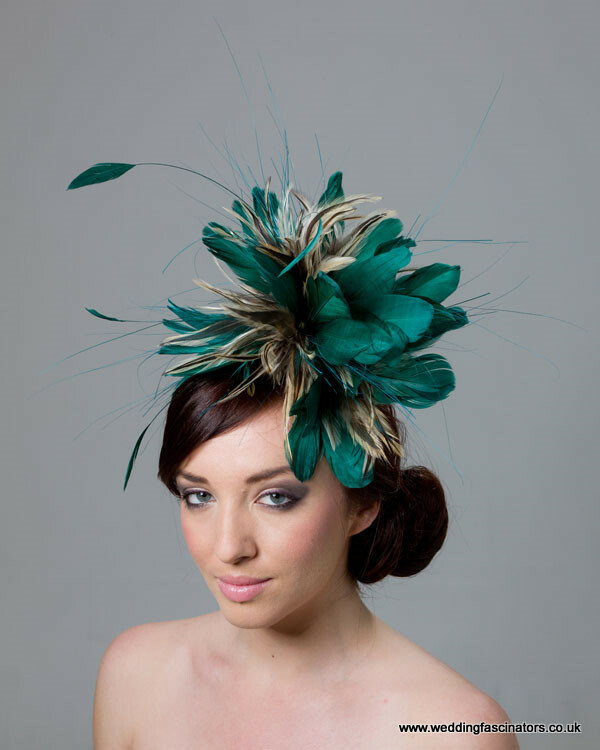 This eyecatching headpiece is a Light Navy fascinator from our Chelsea range. 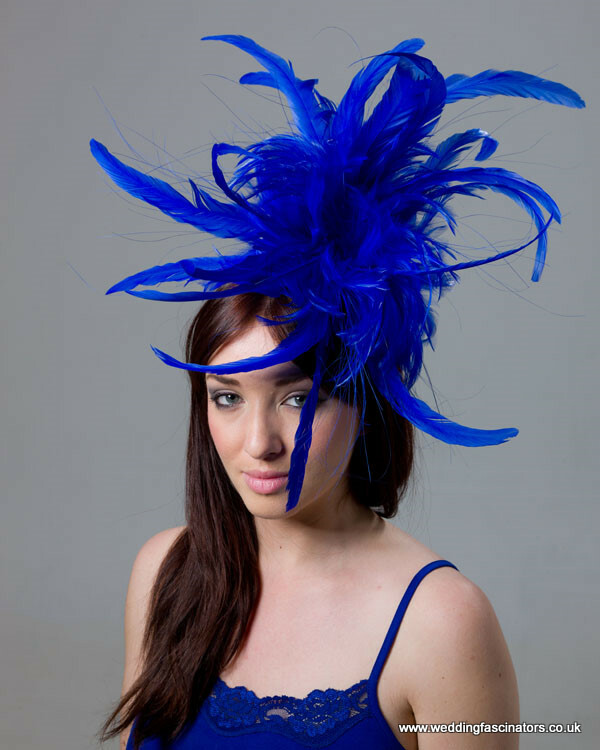 This eyecatching headpiece is a Light Navy fascinator from our Chelsea range with goose feathers and stripped coque feathers and navy blue burnt peacock. It is sewn onto a natural coloured sinamay sweetheart base and is secured onto the head with elastic.